photo-eye was pleased to host David Chickey, founder of Radius Books, and Gordon Stettinius, founder of Candela Books + Gallery, for a presentation about photobook publishing on November 7th 2011. Gordon Stettinius will be Skyped in from New York. 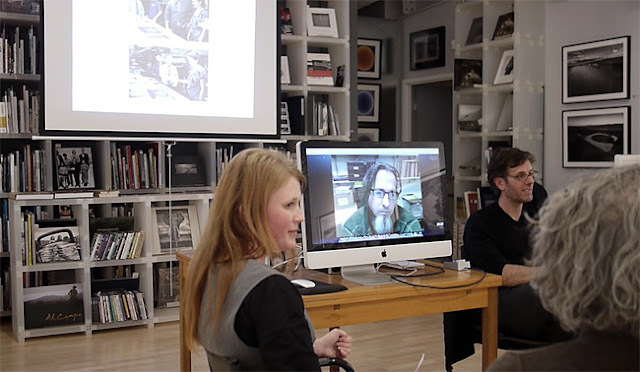 Chickey and Stettinius talked about their recent publications Chris McCaw’s Sunburn (Candela, 2012) and Sharon Harper’s From Above and Below (Radius, 2012) and also discussed working with distributors and the challenges of making and selling books in the current market. More information on David Chickey and Radius Books can be found on their website. More information on Gordon Stettinius and Candela Books + Gallery can be found here. In video #8 of our In-Print Photobook series, Melanie McWhorter shares with us There's a Place in Hell for Me & My Friends by Pieter Hugo published by Oodee. In-Print Photobook Video #8: There's a Place in Hell for Me & My Friends by Pieter Hugo from photo-eye on Vimeo. Every year we see trends in the selection of books picked for our Best Books list. 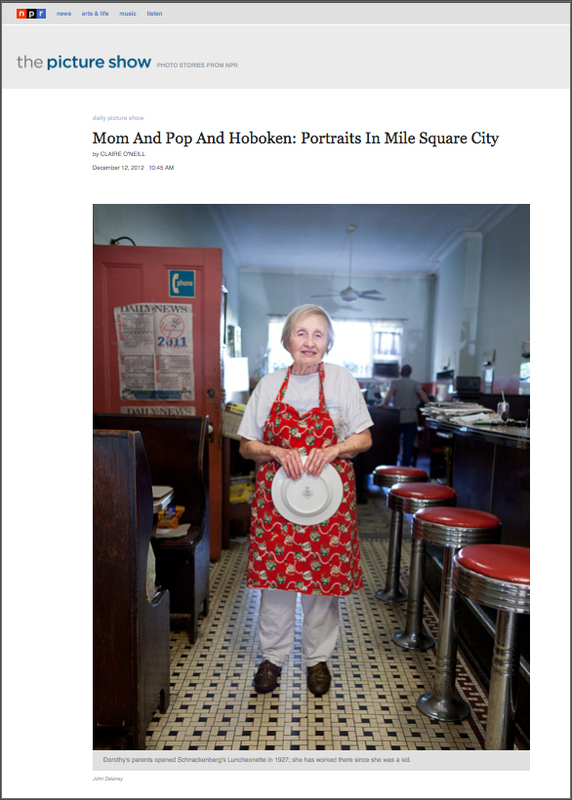 Some of what we see may be related to what we're interested in, and what stuck out to me were the number of titles that were created from or incorporated vernacular photography. I counted over a dozen titles in a recent scan of the list, though I may have missed a few. 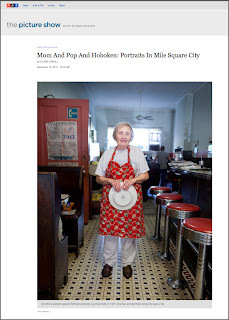 They are a diverse bunch, including an album of photographs discovered on the street in Found Photos in Detroit, the scrapbook assemblages of Down These Mean Streets, the appropriated Google Street View images of A New American Picture, and the pristine and obsessive precision of life documented in Lange Liste. Dive Dark Dream Slow was among the most frequently selected books on the list, and is a rather brilliant example of the rise of the snapshot in contemporary photographic practice, exhibition and study. The images in the book were culled from the massive vernacular photography collection of Peter Cohen, who has become one of the foremost collectors of the form. Cohen's collection has recently been made the subject of exhibitions and publications, and part of his collection was also recently donated to New York's Museum of Modern Art. In Dive Dark Dream Slow, Cohen's collection has been put in the hands of photographer and bookseller Melissa Cantanese. The resulting book captures a feeling that I imagine must be quite similar to wandering through such a vast photographic archive. One seems to enter a meditative state where the faces and scenes before you begin to fill a waking dream. The physical book itself is a beautiful production. The size and stippled texture of the cover make it reminiscent of an old hardcover picture book for a child -- one where the dust jacket has been long since battered and forgotten. This sensual quality only enhances dream-like nature of the volume. It opens with an image of a man in swimming trunks on a railing. Caught mid-stride, he seems to be preparing to dive, though no water is visible. Partially obstructed, the face of a woman smiles up at him, caught in the excitement of his balancing act. It’s a joyous photograph, a feeling complicated by the image on the next page – a large building engulfed in flames, burning in the night. 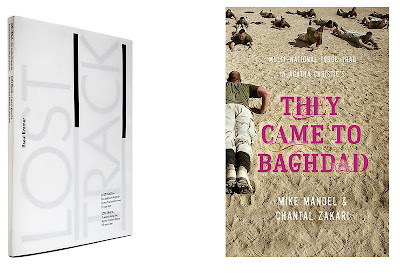 The juxtaposition of these two images initiates the viewer into the complicated nature of these images. Immediately our minds try to draw them together, and any dissonance that may have initially resulted from the first two images is smoothed over by the following photographs, which all show a diving figure. Within the first few pages, a tone has been set, and we see an assortment of bathing figures – women and men, some actually in the water, others simply laying down as if floating. A story seems to be established, but it is a story that suddenly drifts outwards. The clusters of thematically similar images give way to striking photographs with little apparent relationship beyond their proximity: lighting strikes, fighter planes, the moon. With the connections loosened up, the book replicates something closest to the free associative state one enters when falling asleep. Images appear and we draw connections, finding meaning in the abstraction between photographs. In video #7 of our In-Print Photobook series, Erin Azouz shares with us Heavy Hand, Sunken Spirit by David Rochkind published by Dewi Lewis. 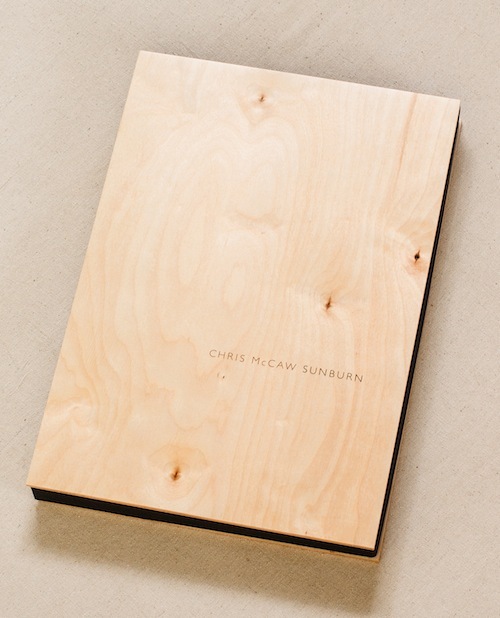 Selected as a Best Book of 2012, Chris McCaw’s first monograph, Sunburn, is now available as a special edition from Candela Books. 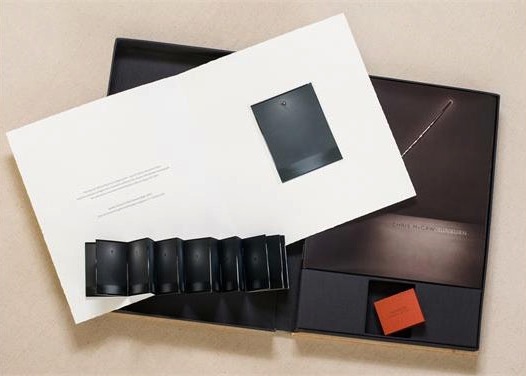 The special edition is limited to only 21 copies, each signed by the artist, and comes in a custom clamshell box with a one-of-a-kind 4x5 paper negative of the sunrise over the San Francisco Bay on August 10th, 2012. The book is also accompanied by a small handmade accordion-fold booklet containing the complete work from the Sunburn series. Chris McCaw’s sunburned paper negatives are quite a marvel – his long exposures range from a couple hours up to an entire day, with the sun’s path across the ecliptic burned into expired silver-gelatin paper. His unique process transforms the photographic print to something of a sculptural, three-dimensional object. Purchase the tradition edition here, or email us to reserve a copy of the special edition of Sunburn for $2100. 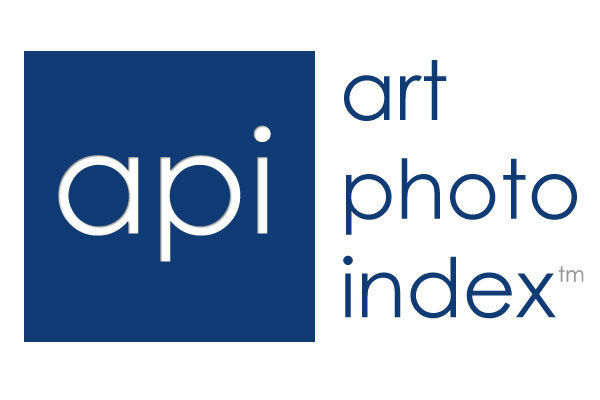 Years in the making, Art Photo Index (API) (http://www.artphotoindex.com) has just launched! 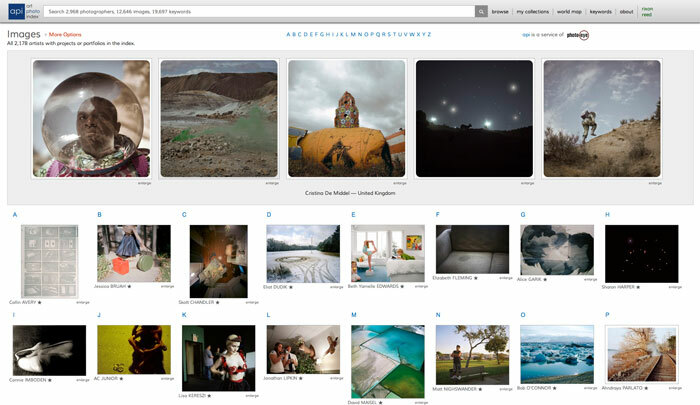 Art Photo Index is an innovative, cloud-based visual database containing images from thousands of internationally acclaimed art and documentary photographers and photo-based artists. Art Photo Index launches with over 12,500 images by nearly 3,000 photographers from 85 countries. The world map shows where each of the photographers is located. 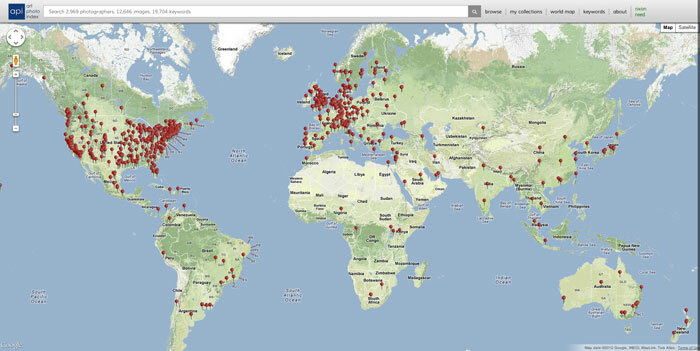 Click a pin and view all of the API photographers from that area. API Exhibitions are immersive online photography exhibits created by world-renowned curators with work selected from artists included in Art Photo Index. 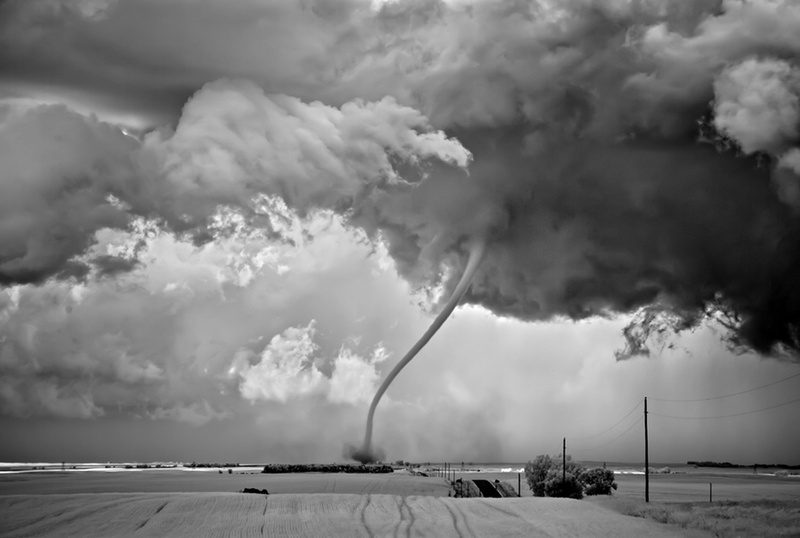 We are thrilled to announce the inaugural Art Photo Index exhibitions. Fear and Loathing will be curated by Katherine Ware, Curator of Photography, New Mexico Museum of Art. 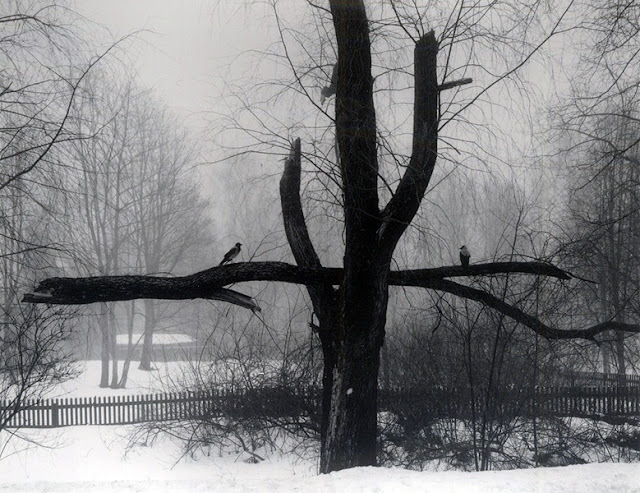 This exhibition, shown exclusively on Art Photo Index, opens in February 2013. Those are not MY family values, will be curated by Rebecca Senf, Norton Family Curator at the Center for Creative Photography and Phoenix Art Museum. This exhibition opens in March 2013. Text by Rebecca Senf & Stephen Pyne. Published by University of California Press, 2012. 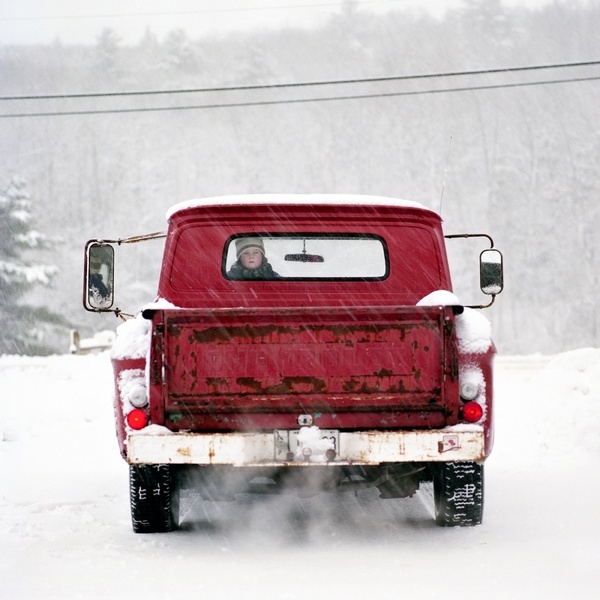 Photographs by Mark Klett and Byron Wolfe. Text by Rebecca Senf & Stephen Pyne. University Of California Press, 2012. Hardbound. 208 pp., illustrated throughout, 10x12-1/4". Mark Klett and frequent collaborator Byron Wolfe bring the rephotography project to the rim of the Grand Canyon in Reconstructing the View. Primarily photo-based depictions of this natural wonder – from modernist abstractions to garish tourist postcards – are both conspicuously inserted and insinuated into their composite imagery. Environmental historian Stephen J. Pyne contextualizes the canyon's visual history for the catalog, detailing how this place became fodder for so many scientist-adventurers, artists and entrepreneurs, from high to low culture and back again. Klett's first conception of rephotography succeeded within the narrow strictures of "before and after" pairings with past vantage points, if not points of view. Perceived commonalities gave way to all that was distinct, materially and conceptually, from past to present images of western American landscapes. In Reconstructing the View, then and now come together in a broader repertoire of digital collage and overlay. Like ace jigsaw puzzlers, Klett and Wolfe take on the challenge of the Grand Canyon's vastness and relatively homogeneous topography in this latest reconstruction. Reconstructing the View, by Mark Klett and Byron Wolfe. Published by University Of California Press, 2012. On one hand, their exacting correspondences of ridgelines and outcroppings suggest both a constancy of the canyon's geographical profile over time and a veracity in its depiction. Yet the pair also set up a variable play of environment and tone, as well as conceptual vantage point, in the weaving together of disparate media (that sometimes literally encapsulates a viewer). The photographers believe that a transparent revelation of their artistic process – in both material tools and working methodology – is essential to how the work comes to mean. Curator Rebecca A. Senf delves into this aspect at length in her catalog essay, heroizing the artists' process of discovery and creation as she connects them to a lineage of scientist-artists who have explored and depicted the canyon first. At times her tone feels a bit overly congratulatory of the Klett-Wolfe collaborative experience, comprised of packaged sub-sets like the historic mash-up and the stitched panorama. While this text is a well-research delineation of their methodology, I find that an overemphasis on process runs the risk of deflating the power of the best images in this series.